Sapper James Veall, #1094 arrived in Western Australia on Nile in January 1858 (1). He and his 26 colleagues came to work for the Convict Establishment (by this time known as Fremantle Prison) as Instructing Warders. Veall was a smith by trade. His employment in the first few years is summarised in the sidebar (2). Veall, whose surname is recorded variously as VEALL, VEAL and VEALE, is shown as a Bugler with the 12th Company, Royal Sappers and Miners in Gibraltar in 1851 (3). There are no details available from Army service records to indicate when or where James Veall was born or his marital status on arrival in Western Australia. 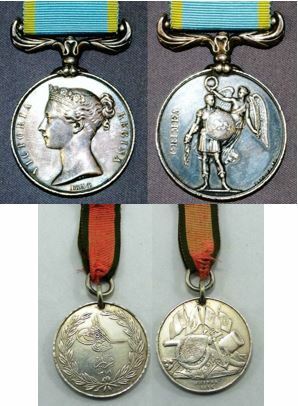 Prior to his arrival in Western Australia, Veall served in the Crimean War, receiving the Crimea War Medal (without clasps) and the Turkish Crimea War Medal. He is recorded on the medal roll as James VEALE (4). Another Sapper James VEAL, #2611 served with the Royal Engineers in the Crimean War, China, South Africa and Mauritius. He was a copper miner from Cornwall and, fortunately for our purposes, the two men are distinguishable by their regimental numbers. Veal #2611 is on the same medal roll as #1094; on a different page of the roll Sapper #2611 is recorded with clasps for Alma and Inkermann. James VEAL #1094 was one of seven Sappers discharged from the Army in Western Australia on 30th December 1861 (without pension). All were eligible for £10 remission on 20 acres of land; there is no evidence that he took advantage of this (5). Records in Western Australia (and Victoria) may or may not relate to James Veall who arrived on Nile. There are a number of flaws in this entry in Rica Erickson’s Bicentennial Dictionary (6). 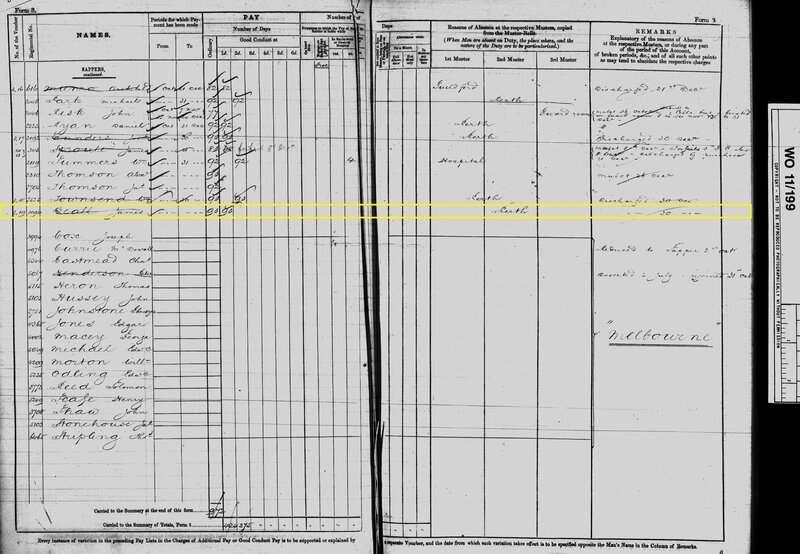 The only Edmund James VEALL who died in Victoria in the 1870’s was an infant (1871). Our Sapper definitely did not arrive on Anna Robertson in 1851. There is a marriage between an Edmund James Veall and Ann Flindell (but not Elizabeth Ann). 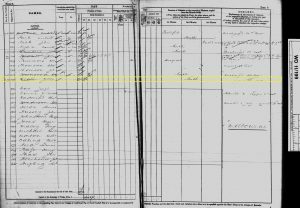 Francis Bassett Shenstone Flindell did indeed have a daughter named Ann who was born in England in 1837 (not 1854 above – which would have been somewhat young to start a family in 1860!). The Flindell family, as it happens, arrived in Western Australia on the same Nile voyage as Sapper James Veall. Francis Flindell and his son James George were both engaged in the Crimea in the Turkish Contingent (7). Edmund Kestrel (son of Edmund James and Ann Veall) is an executor of Ann Veall’s Will dated 25th November 1892. Ada Elizabeth, Ann Veall’s daughter, was beneficiary of all her property, both real and personal. 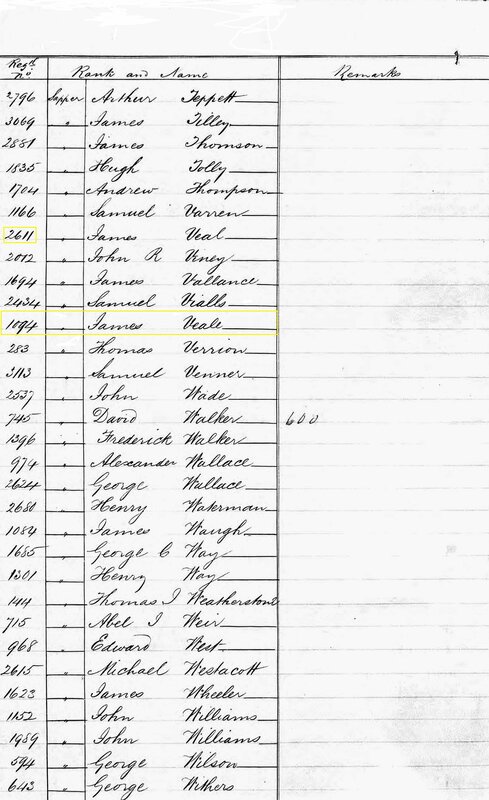 Ann Veall died on 10th September 1893 (not 23rd May 1871 per Erickson) (8). Let us move on to an Edmund James VEALL who appears in the Melbourne newspaper Argus in 1866. This Edmund James Veall had an occupation in common with our Sapper James Veall – they were both smiths (9). Is this our Sapper, veteran of the Crimean War, and did he go to Victoria and return to Western Australia with his family? There is a death of an Edward VEALE recorded in Western Australia in 1889, aged 54 (10). While we do not know the birth date of our Sapper, this is certainly within the bounds of possibility for the age of a soldier who fought in the Crimean War. Or … is Sapper James Veall none of the above? There are hundreds of references for James Veall (and variants) recorded in Australia and New Zealand. End of conjecture! 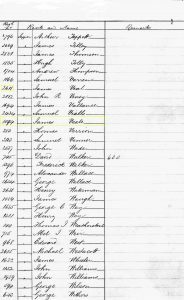 (1) Muster Roll & Pay List WO11-158 January 1858, National Archives, Kew. (2) Warders and Gaolers: A Dictionary of western Australian Prison Officers 1829-1879 pp.199, 207, David J. Barker, 2003. (3) Muster Roll & Pay List WO11-124 March 1851, National Archives, Kew. (4) Crimean War Medal Roll WO100-23-298, National Archives, Kew. (5) List of RE Officers and Sappers Discharged from 20th Company CSR Vol. 499-15, State Records Office, Western Australia. (6) The Bicentennial Dictionary of Western Australians 1829-1888, compiled by Rica Erickson. (7) Warders and Gaolers Dictionary and Crimean Medal Roll WO100-34-333/334, National Archives, Kew. (8) The Last Will and Testament of Ann Veall, Cons. 3403-1893-1212, State Records Office, Western Australia. (9) Argus Newspaper 18th October 1866, courtesy of TROVE. (10) WA General Registrar’s Death Index.